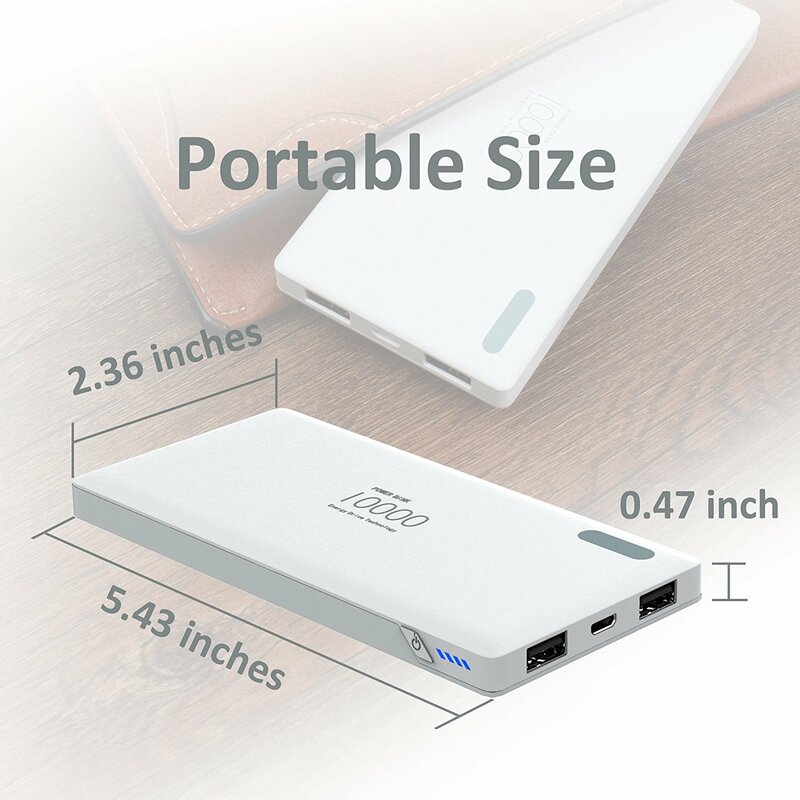 »Ultra-slim and lightweight design makes it convenient to put in the pocket or bag. 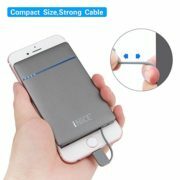 Then you never need to worry about running out of juice quickly when you go out. 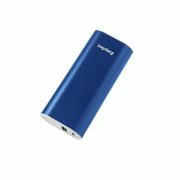 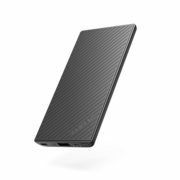 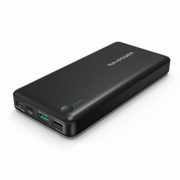 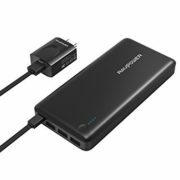 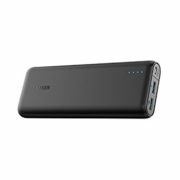 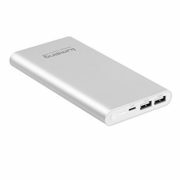 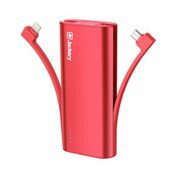 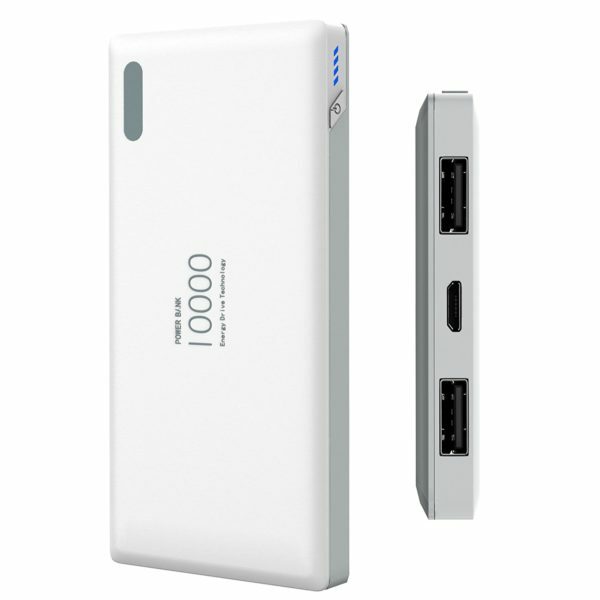 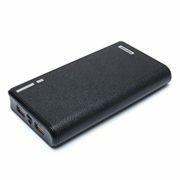 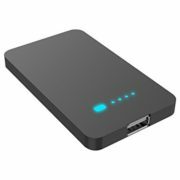 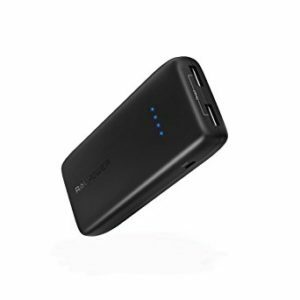 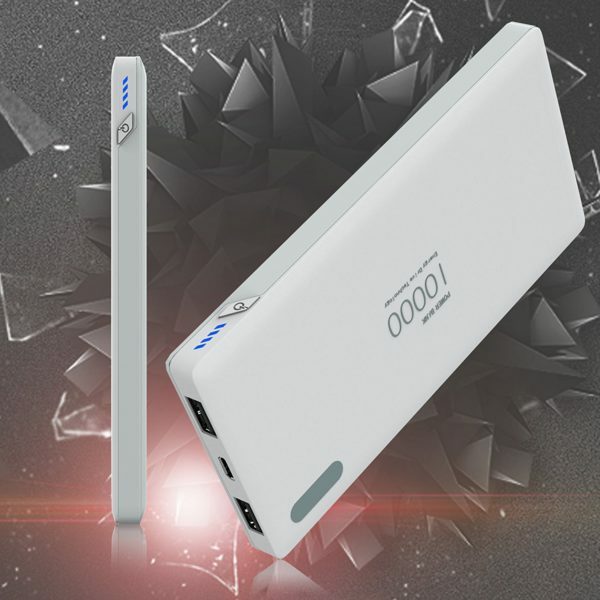 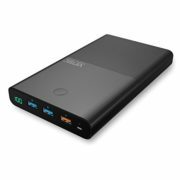 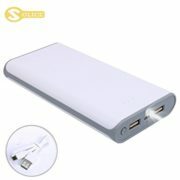 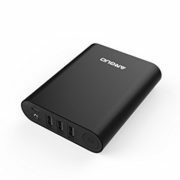 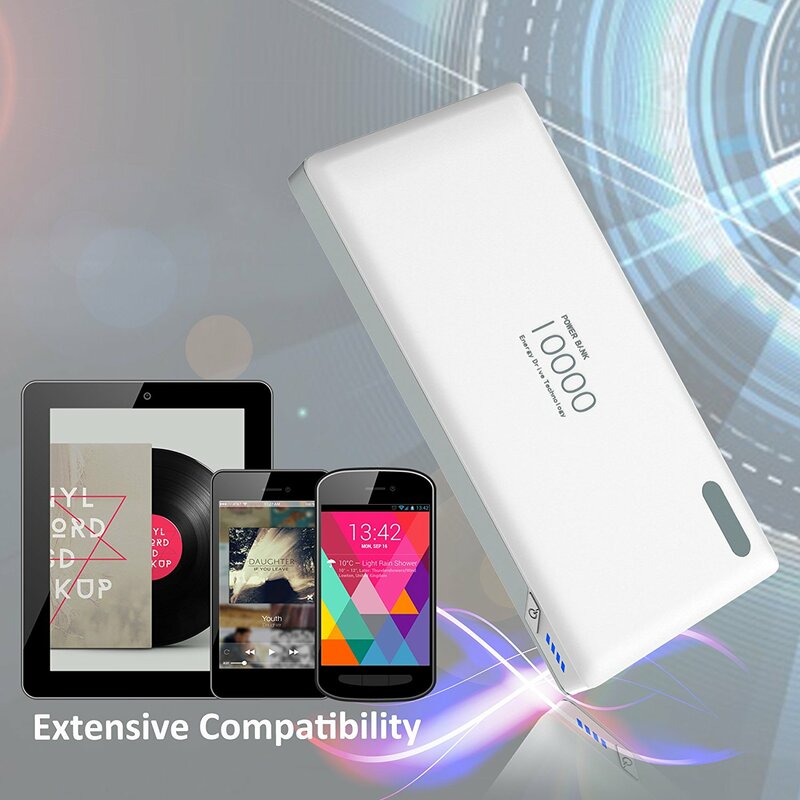 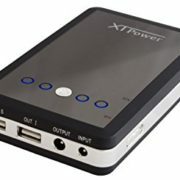 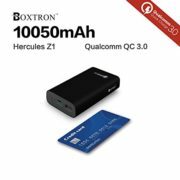 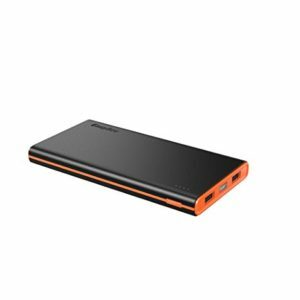 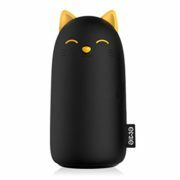 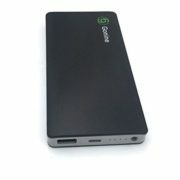 »Large capacity of 10000mAh with built-in high quality lithium polymer battery provides 3 times of full charge for your phone. »All-around security protection effectively prevents your devices from overcharging, over-current and short-circuits. 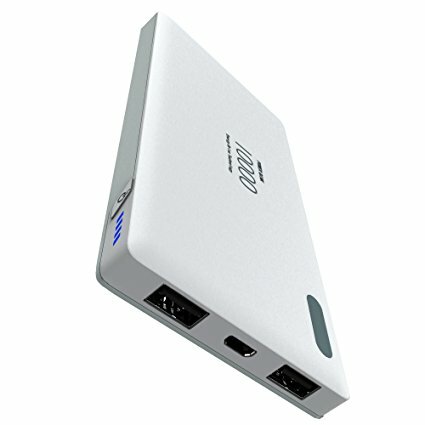 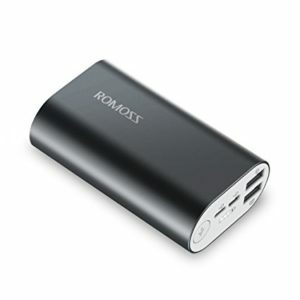 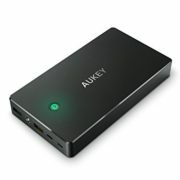 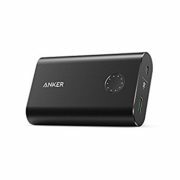 »Two charging output ports (one 1A & another 2.1A) would be very helpful when both you and your friends phones are out of power. 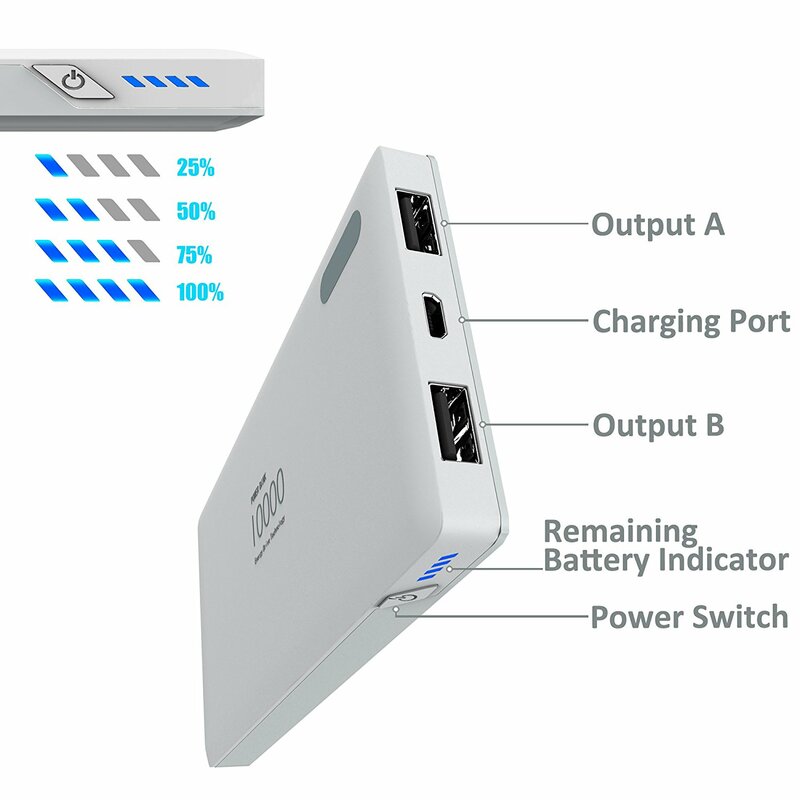 Four LED indicators, help you easily know the charging status and the remaining power capacity to avoid insufficient juice in your power bank. 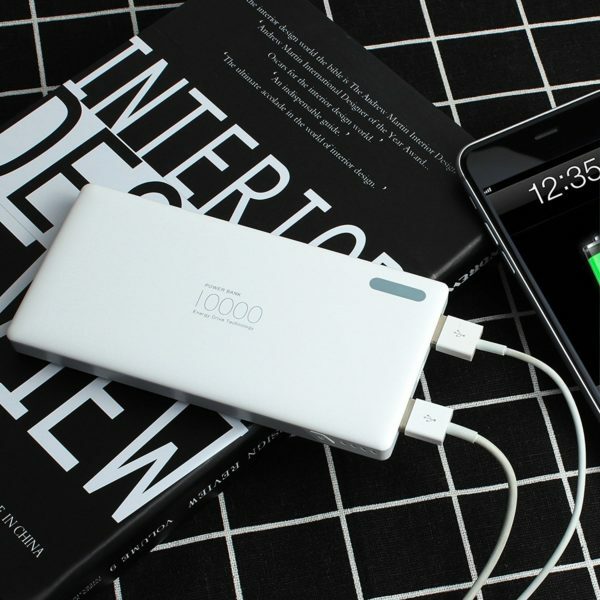 »Fast phone charge technology enables your phone or devices to be full of energy in 1-2 hours.